Want to loosen yourself into the vibes of a peaceful and meditative zone? 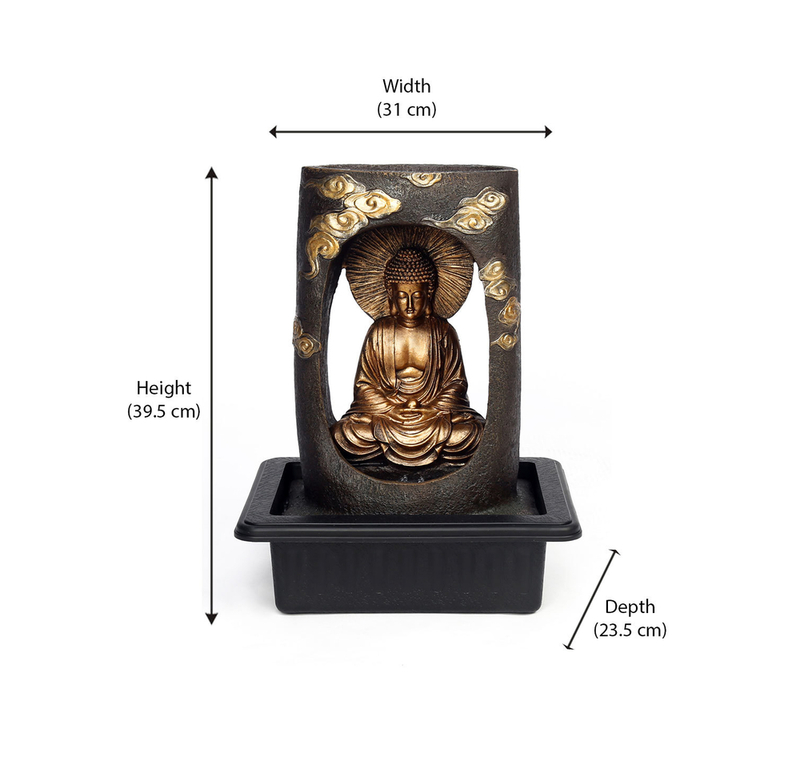 Then you should pick the aura of the ancient Buddha vibe into your home with Buddha Waterfall Water Fountain which soothes your living space with its old world charm and calmness. The glistering Buddha sculpture brings harmony and the high grand material used is crafted to feature your space with a sturdy look. The divine sound of trickling dews will take you to a whole new dimension of peace and tranquility. Wherever you place this water fountain, your guests and loved ones are sure to enjoy it.